The church that Jesus is building is built with living stones – US! Together we are being built into a spiritual house, and unlike the saints of the Old Testament we do not go to the house of the Lord, but we are the house of the Lord. Now, this house of the Lord, or these living stones have the greatest joy in the universe, and that is the privilege of treasuring the Great Living Stone together. Our desire is to know Him, to treasure Him and to make Him known. Our sacrifices are also unlike that which the Old Testament saints knew. They sacrificed animals for their sins. We however have a perfect sacrifice that was done once for us all, namely Christ offering Himself on the cross of Calvary. Our sacrifices now, are not blood sacrifices, but spiritual sacrifices. In the last sermon we saw that amongst many others, some of our sacrifices are our bodies, our praise and our giving, AND that in all of these God’s pleasure is our goal. We are to God the aroma of Christ’s completed work on the cross of Calvary. He sacrificed all and it should be our joy to sacrifice in return. Now the only reason we can sacrifice is because of who Christ is and what He did. The extent, to which we price Christ, will be the extent to which we value Christ. Those are the pillars that our sacrifice rests upon. Allow me to unpack some of these pillars from this glorious letter written by Peter. The pillars our spiritual sacrifices rest on. 1. Jesus Christ the Living Stone. Peter calls him a stone because of the prophecies in the Old Testament in Isaiah 28:16 and Psalm 118:22. Isaiah says that He is a firm foundation. You know what confidence this verse gives me. This church belongs to Christ, it is built on Christ and built by Christ and it exists for the glory of Christ. 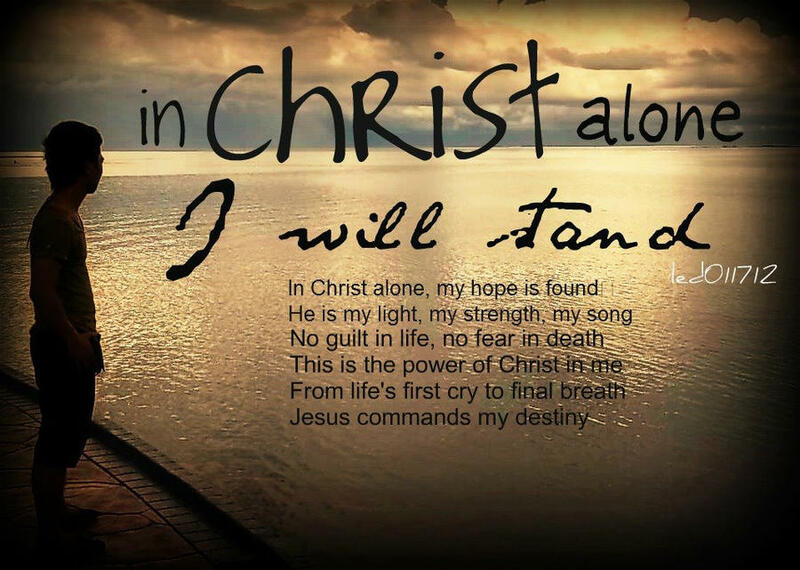 It is surely as the song says: “In Christ alone my hope is found, He is my light, my strength my song. This cornerstone, this solid ground, firm through the fiercest drought and storm. What heights of love, what depths of peace, when fears are stilled, when strivings cease, My Comforter, my all in all. Here in the love of Christ I stand”. Yes they rejected Jesus Christ, they crucified Him, but He rose victoriously from the grave and became the capstone, the cornerstone, THE Living Stone of the church. That glorious day, on the day of Pentecost when the church was born it was founded on Jesus and our trust is in Him and in Him alone because those who trust in Him will never be put to shame. The only reason you and I can offer living sacrifices is because we have a sure foundation. Tell me my friend, wow precious is Jesus Christ to you? The second pillar that this life of spiritual sacrifice is based upon is the fact that we have tasted the goodness of the Lord which we read in verse 3. Because we have tasted the goodness of the Lord we desire the milk of the word. How did we come to taste the goodness of the Lord? It happened through our New Birth. We came to Him and now we keep on coming to Him. We feed on Him and our food is to do His will. We are the ones who come to Him, the Living Stone, and we keep on coming to Him. We all know, that we will only sacrifice to that which is ‘good’ or ‘precious’ to us. Somebody once said: “show me your cheque book, and from the counter foil I will tell you what is precious to you”. Why is that true? It is because we will gladly sacrifice our time, our sleep, our energy, our money etc. for that which we treasure. Oh, my friend. Have you tasted the goodness of Christ? Tell me are you born again into this living house? Do we understand that one of the marks is that those with a new nature are marked by a craving for more of Christ? Paul’s aim in life by the way was in stark contrast to believers today. A few years ago somebody said to me that they would love to visit Logos, but are we ‘happy-clappy’, because that is what they like. I guess I know what Paul would have said. ‘happy-clappy’ is not what it is all about. It is not about the style of worship, but the essence of worship which is Christ. It is about knowing Christ in His suffering and in His resurrection and to make Him known’. You are welcome to be ‘happy-clappy’ at Logos, but that is of temporary value to the flesh. Do you want to meet with Jesus in worship and understanding? Those are more critical issues. 3. We are shaped into living stones. The third pillar in this life of spiritual sacrifice according to verse 5 is that we ourselves are shaped into living stones for use in a spiritual building. Think about the implications of this statement. We are not a club, a physical building, or dead stones for use in a dead building. That is the reason we do not value buildings over our Kingdom purpose. It is so easy to become a church that focuses fully on our Sunday gathering as if this is what the Kingdom is all about. We are in daily contact with THE Living Stone who makes us alive and fits us in our place in his spiritual architectural plan. We are hardly a spiritual building if there is no orderly laying of the bricks, each one in their place playing their part. We are members of the body of Christ and all are gifted for His purposes. Why did God give us pastors and teachers in the first place? Ephesians 4:12-13 (NIV) “12 to prepare God’s people for works of service, so that the body of Christ may be built up 13 until we all reach unity in the faith and in the knowledge of the Son of God and become mature, attaining to the whole measure of the fullness of Christ.” Logos might one day have its own building, but may it not be said of us that the only thing alive at Logos is the Ivy growing against the wall. 4. We are built into a spiritual house. The fourth pillar is the fact that we are not just living stones but the fact that we are built up into a "spiritual house." Christ is the builder here. He builds individual Christians into a spiritual temple. It's spiritual because it houses the Holy Spirit. Remember Paul’s words: 1 Corinthians 3:16 (NIV) “16 Don’t you know that you yourselves are God’s temple and that God’s Spirit lives in you?” In this context this is a reference to the local church and not just individuals. You are all living stones built by God into a spiritual house that is a temple made for the presence of a holy God. The main thing here is that we as a church are meant by Christ to be a corporate dwelling of God in the Spirit. But there is more of God to be known and enjoyed than anyone can know in isolation. We are being fitted together, Paul says, for a temple and for a dwelling of God by his Spirit. There is a presence and power and manifestation of the Spirit of God meant to be known in this gathering of worship that we do not know at any other time in isolation. That is the church that Christ is building. We are not isolated members of the universal church, but responsible members of the local church. My desire is to see this vibrancy, this work of the Lord increasing in our lives more and more. That this place will be filled with excitement of worship, prayer, learning and doing. My desire is that there will be an ongoing, growing and offering of spiritual sacrifices that are pleasing to God. 5. We are a holy priesthood. The fifth pillar of this spiritual house offering spiritual sacrifices is the fact that we are also a "holy priesthood." There is a modern day thought that the husband is the priest of the home. I’m not sure where we find it in Scripture. According to the Word of God all believers are priests. In other words, we are not merely the passive building where God dwells; we are also the active participants in worship. And not just participants, but a special kind of participant, the priests, which is all of us. We all -- lay people and pastors -- are the priests of this new spiritual house, and our privilege now as priests is to draw near to God with spiritual sacrifices. The priests brought the sacrifices into the tabernacle in the Old Testament. This means that you all have access to God through Jesus Christ. You do not take your sacrifice to the priest and watch while he takes it to the altar or to the tent of meeting with God. You all are called by God to approach the altar and the throne, and to make your own personal sacrifice in personal life and in corporate worship. For this purpose you are set apart or holy as Christ is holy according to 1 Peter 1:15. You are cleansed by the blood of Christ through faith, and dedicated to relentless and ruthless opposition to sin in your life. You are a priest to God. You are a part of the worship team, called "the holy priesthood." Without this God-produced holiness we do not offer spiritual sacrifices acceptable to God through Jesus Christ. But now that tabernacle is replaced by the Christian church. The atoning altar is replaced by Jesus Christ and his shed blood. And the priests are replaced by you, those who believe in Christ. 6. We are acceptable to God through Christ. The sixth pillar of this life of offering spiritual sacrifices is that we are acceptable to God through Jesus Christ. God's aim is that we offer him spiritual sacrifices, and we can only do that "through Jesus Christ." Jesus is the Living Stone. Everything hangs on our coming to the Living Stone. If we don't come to Jesus, the Living Stone, then we don't have life and we are not built into a spiritual house, and we do not become a holy priesthood, and we will not offer spiritual sacrifices. It all hangs on Jesus and connecting with Jesus – coming to Jesus. That's why Peter ends verse 5 with the words "to offer up spiritual sacrifices acceptable to God through Jesus Christ." He is the only way to God. He is the only way to be alive for ever. He is the only way to be a dwelling for God. He is the only way we can do anything acceptable to God. This is why verse 7 says that he is precious, costly to us who believe. Yes, infinitely precious. There is no greater value in the universe than Jesus. He means more to us than anything or anybody. That is why we don’t boast in our achievements because with Paul we say in Romans 15:18 (NIV) “18 I will not venture to speak of anything except what Christ has accomplished through me ...........” The preciousness of Christ to our hearts is this: through him we know God and come to God and experience the presence of God and offer acceptable sacrifices to God. Without him all is distance and darkness and wrath. Christ is precious, very precious because only through Christ are our sacrifices acceptable to God. With a Saviour less than Divine, we have a religion less than saving. If Christ was not God, we are not Christians, we are deceived dupes, and we are idolaters, as bad as the heathen whom we now pity. It is making a man into a god, if Christ is not God. So, now we’ve seem the pillars and in the last sermon we’ve seen some the spiritual sacrifices that are acceptable to God through Jesus Christ? If our answer to the above questions is – no, then our sacrifice is not acceptable to God. If our answer is yes, He will accept our sacrifices, not because it’s perfect -- it never will be in this age – but because it comes "through Jesus Christ." Spiritual sacrifices are sacrifices from Christ and through Christ and for Christ. Spiritual sacrifices get their power from the Spirit of Christ, they get their content from the Word of Christ, and they have their goal in the glory of Christ. That is the only kind of worship God accepts. If we are going to be a spiritual temple for God's presence, and if we are going to be a holy priesthood and if we are going to offer spiritual sacrifices acceptable to God, then we must day by day, hour by hour come to Christ and value Him. We must taste his kindness by feeding on his word – his promises, his commands, his teachings, his warnings – until we are so filled with Him that his Word will dwell among us richly as we teach and admonish one another with thankfulness in our hearts to God.